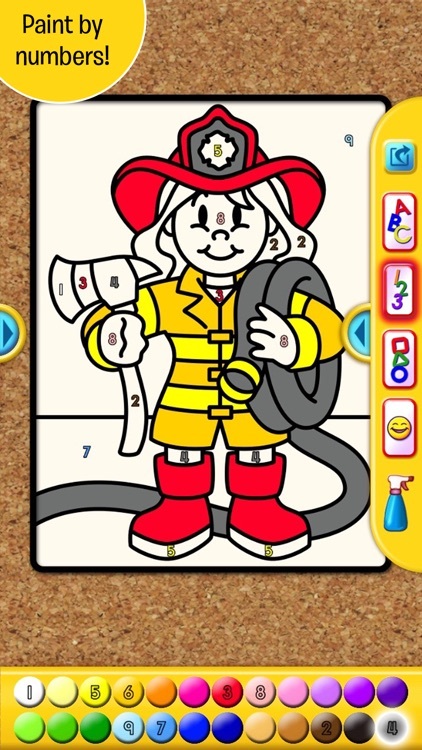 Let your kids be creative while they learn letters, numbers, and shapes. 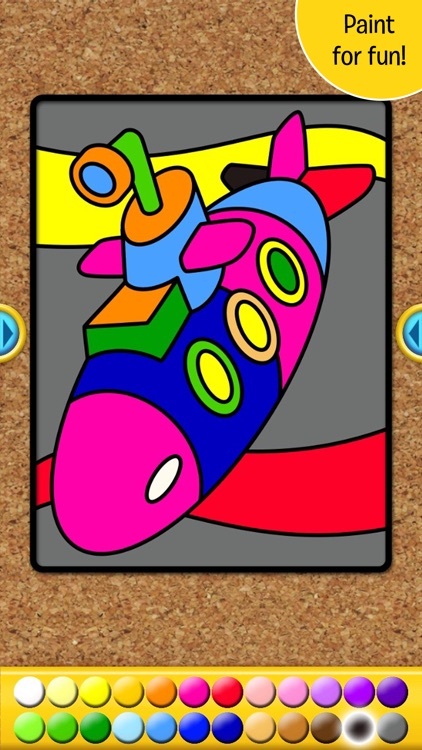 I Like to Paint Letters, Numbers, and Shapes helps your kids ages 3 to 6 and under learn while they color. 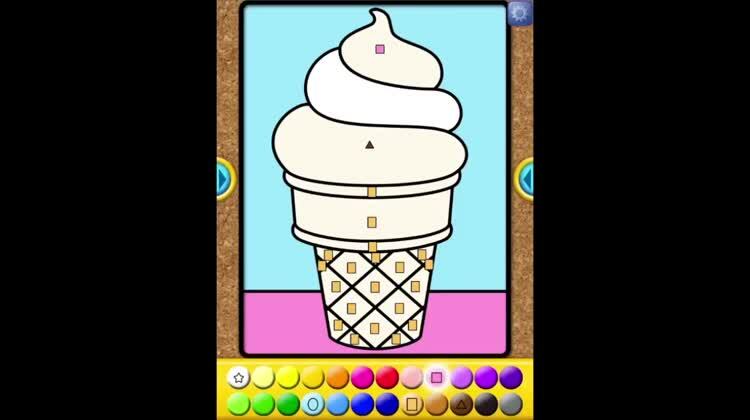 The app has 80 wonderful images, four fun coloring modes, and 24 sparkling colors to bring out your child’s creativity. They will receive immediate feedback and encouragement as they Paint by Letters, Paint by Numbers, or Paint by Shapes. Paint by letters. When it comes to your child learning their ABC's, it is important that they actually make progress. 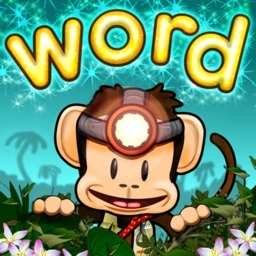 With this app, it is easy to quiz them on what they've learned, since the app uses their knowledge to test them. All they have to do is listen for the letter that is being called out, and then color in all of the spaces for that letter. Doing this correctly will reveal a fun picture for them to see, so there is a good incentive to strive for. Pain by numbers. Just like with their ABCs, numbers are super important as well. 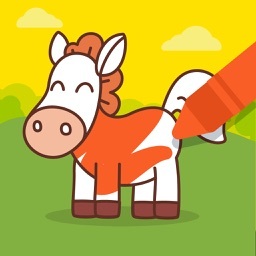 The app quizzes children on their numbers too, as it will call out a number and then the child must color in the correct space that is labeled with that number. The end result is a fun image, so this is a great way to teach kids. Paint by shapes. And to top it all off, shapes are also a necessity in life. 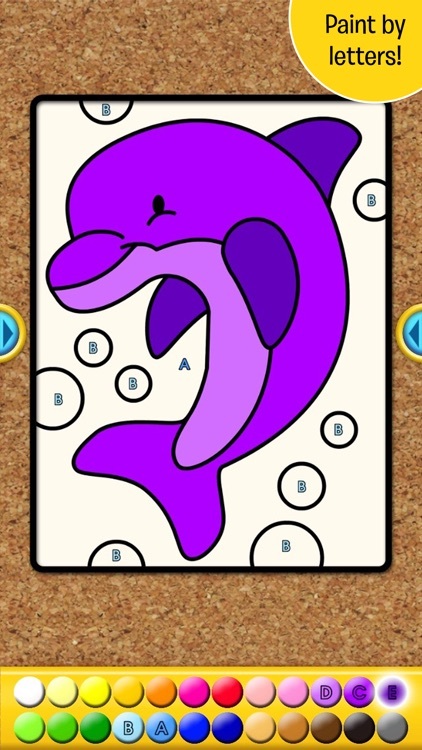 With the app, your child must listen for the name of the shape being called out, and then color in all of those spaces on the picture. Again, the end result is a fun image for your child, so it gives them a lot of incentive to know their shapes, as well as numbers and alphabet. I Like to Paint Letters, Numbers, and Shapes is a great way for your little ones to learn while their imagination is encouraged. 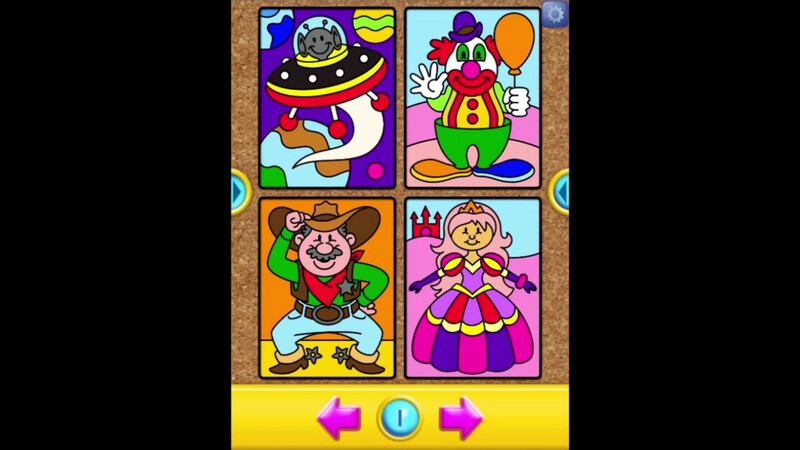 There are tons of cheerful pictures to choose from and an array of colors to help their creativity shine through. For a delightful way to teach your kids, I Like to Paint Letters, Numbers, and Shapes lets them color while they learn. They can Paint by Letters, Paint by Numbers, or Paint by Shapes or try them all. 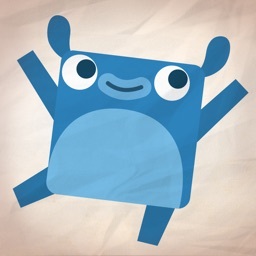 Give your kids an app to celebrate their creativity while they learn letters, shapes and numbers! 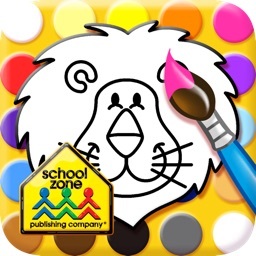 This I Like to Paint app from School Zone, delivers big learning fun in rainbow colors. 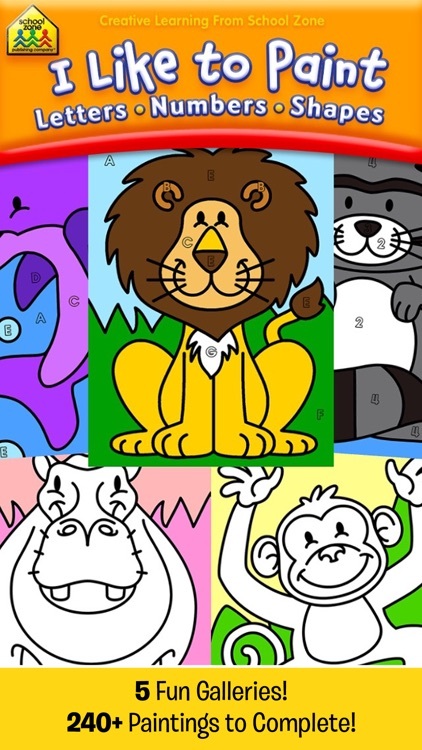 Preschoolers and kindergarteners can choose a picture to “paint” from one of five image galleries: Mammals, Nature, Favorite Foods, Fun Characters, and Things That Go, each with 16 pictures. Pick a monster truck, a prancing pony, or bird’s nest. 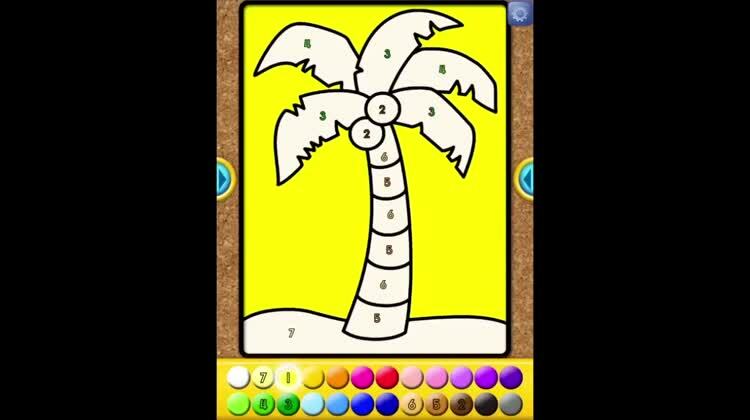 Then select Paint by Letters, Paint by Numbers, or Paint by Shapes. It’s easy! 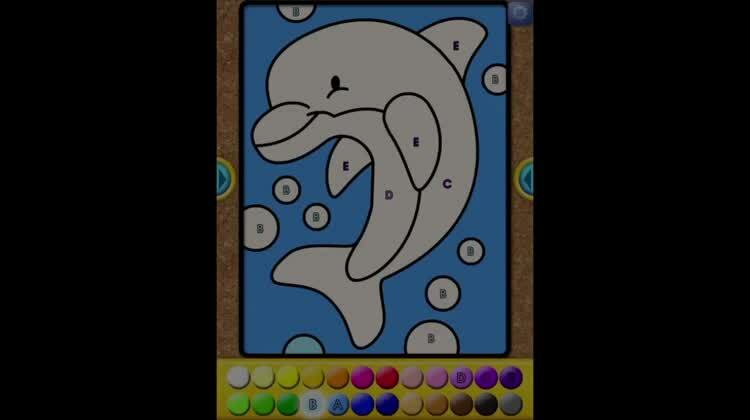 Just touch the color displaying a number, letter, or shape inside it, and then touch the image area with the matching symbol to paint it. Following this pattern throughout the picture, when it’s complete, your child will delight in seeing sparkles and hearing, “You are an amazing artist!” Incorrect moves will result in “almost” or “try again” feedback. 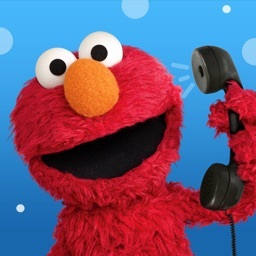 Kids can save all the images in each gallery, in all three modes, allowing storage of up to 320 pictures. 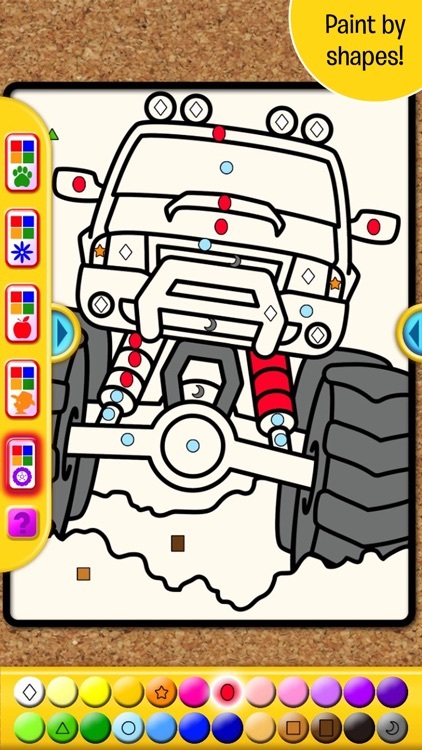 Little artists can also choose the smiley face to just let their creativity go wild, using any colors they choose. Even then they hear the name pronounced for each color selected. That helps reinforce colors and distinguishes between light and dark shades. Scroll back and forth between gallery images with ease. To spritz away the filled-in colors and try again, touch the spray bottle icon. Like the final result? 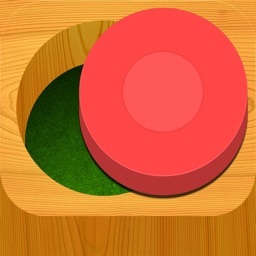 Share it with Grandma or others by Facebook or e-mail without even leaving the app. •Hours of fun and learning!